Located in a quiet rural setting just four miles from Gatwick Airport and seconds from APH Car Park Gatwick, the Regency Hotel offers a relaxing and stress-free start for any trip from the North or South terminals. Along with the idyllic setting, it offers a full range of facilities including on-site restaurant serving freshly prepared food across breakfast, lunch and dinner. There's also a bar to help travellers unwind ahead of their flight from the nearby Gatwick Airport. Guests will enjoy a great night's sleep, too, with fully featured rooms ready to accommodate all from families to couples and those travelling alone. Free WiFi is on offer for that last-minute social media post or email to the boss. Beat the stress of early morning departures and jams on the nearby M23, with a pre-flight stop-over in the quiet and relaxed Regency Hotel Gatwick Airport. The restaurant has a full menu available. On the day of your flight drive to APH Gatwick who will transfer you to the airport. Suitable for up to two adults, twin rooms are furnished with two standard size single beds. Drive to the hotel and park overnight free of charge – enjoy your stay! 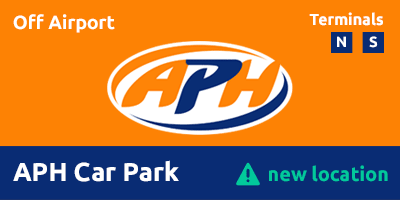 On the day of your flight drive to the APH Car Park and catch the free 10-12 minute transfer that runs 24 hours a day every 15 minutes to both terminals. Take the A264 towards East Grinstead. At the first roundabout take the 4th exit towards Three Bridges. Take the first left exit into Old Hollow. (You will see a brown and white tourist sign directing you towards The Regency). The Regency Hotel will be on your left.